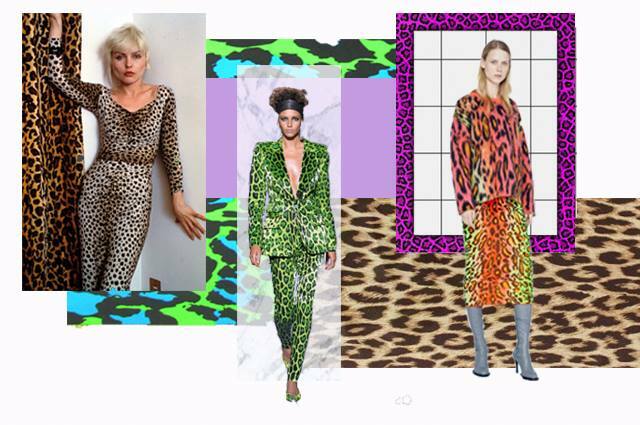 With the rise of neon hued leopard print, a fresh take on the classic feline print. Leopard print has long held a precarious position between chic and cheap, but if you have even glanced at the rails of any shop in the past few weeks it is clear that the fashion world has thrown caution to the wind and declared its undying love for the print. Cue hundreds of sometimes delightful, always painful puns on “feline fierce”, “animal instinct”, and a variety of takes on the word “roar”. New Look woman – in his Little Dictionary of Fashion he advised: “If you are fair and sweet, don’t wear it.” Leopard print in the 1970s and beyond was seen as a cheaper, flashier and “low-class” version of the luxury fur pelts of the 1950s – and was certainly worn by women that Mr Dior would consider neither fair nor sweet. Today, a search for leopard print on Topshop’s website will find you 136 results. On ASOS it’s a staggering 510. So how do you stand out in what will soon be a wilderness of leopards? Take a cue from Stella McCartney’s Pre-Fall 2018 and Tom Ford’s Fall/Winter 2018 collections and turbo charge the print with neon colours. Conveniently enough, highlighter hues are also set to be big this season thanks to the likes of Versace and Prada, so rejoice that you can kill two birds with one… paw. McCartney vouches for abstract versions of the iconic spots, blowing them up to larger-than-life proportions and using fuzzy fabrics to create a soft-focus effect. Ford on the other hand goes for a totally different breed of glam: think 1980s power suits in sequined leopard print, all colours clashing gloriously. This trend seems to revel in the paradox of taking a print intended to camouflage in the wild and recreating it in bright red, electric blue and fluorescent yellow – all to make its wearer unmissable. This is hi-vis, in-your-face femininity: think Debbie Harry from Blondie, Joan Jett of the Runaways, Disney’s “The Cheetah Girls”… The list of style icons goes on and on. If the idea of donning an electric-blue leopard print mini dress is a bit much for you, dip your toe in the trend (literally) with a pair of neon-print socks, or add a flash of the feline in a pair of printed earrings. My personal favourites include a bright red denim co-ord from Topshop, and a blue fluffy jumper from New Look. Not a fashion predator? Zebra print is having a quieter moment, but looks just as chic. So while the classic tonal leopard print is all over your favourite high-street brands, and will certainly still be hanging around come autumn, take a sartorial risk and opt for electrified shades and clashing colours. Neons not only look amazing in the late summer sun, but come darker autumn evenings and looming Christmas exams, they will offer a very necessary beacon of hi-lite.